Gaviri PocketSearch is the universal search engine for all your desktop, mobile and network needs. 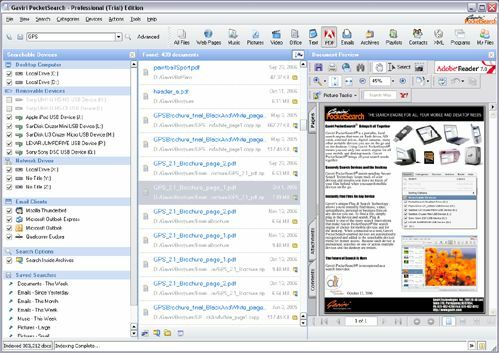 Gaviri PocketSearch was available as a giveaway on August 7, 2007! Gaviri PocketSearch is the universal search engine for all your desktop, mobile and network needs. Find files, email, pictures, songs and other documents on any of the many devices, laptops, desktops and home network drives you use. Gaviri PocketSearch runs on flash drives, SD cards, digital cameras and on many other portable devices. Instant document preview, picture preview. I think this software has been bought by someone. It's gone of the net and the site is closed. I have a copy and it's excellent- better than all the other search engines I have tried. Lookout also was bought out. I use it and it's much better than the Windows search it was incorporated into. I think this software has been bought by someone. It's gone of the net and the site is closed. I have a copy and it's excellent- better than all the other search engines I have tried. Lookout also was bought out. I use it and it's much better than the Windows search it was incorporated into. #79 - Sue - sorry for the belated response to your post. For whatever reason, I missed it earlier on. I was rereading all the comments with the objective of compiling all the suggestions for our development team when I realized I had missed your post. This is one of the key differences between a desktop and Gaviri PocketSearch (a universal search engine that runs of portable devices and networks). The size of the index was kept very small even though we index more data than Copernic. The reason for this is that Gaviri PocketSearch is portable, you can install it on a flash drive, an external drive, a CompactFlash, etc., not just on the desktop. When you install Gaviri PocketSearch on a 1 or 2 GB flash drive, you don't want the index taking up over half the drive. So this and some other technical design issues are the differences between Gaviri PocketSearch -- which is NOT a desktop search and the other search engines on the market. given the number of free programs out there, that’s for sure! Gaviri PocketSearch is not a desktop search application even though it runs on the desktop. Gaviri PocketSearch is a universal search engine that runs on the desktop, home and office network, on smartphones and on most portable devices. It is a universal, adaptive search platform. It is universal because it runs on desktops, networks, Windows Mobile and portable devices. It is adaptive because you can run it like a regular desktop, but also like a portable search: you install Gaviri PocketSearch on the portable device and take search with you -- your search is portable, just like your device and data. None of the search engines on the market today will run on the network or on portable devices -- desktop, network and portable search are all plug and play for Gaviri PocketSearch. We have in fact renamed Gaviri PocketSearch to Gaviri Universal Search to make the distinction that we are not a DTS. DTS are answers to yesterday's search problems. Today users have a plethora of devices: dekstop, home networks, smartphones, MP3 players, flash, external and CompactFlash so we need a way to do a universal search across all these devices, that is what Gaviri PocketSearch does. We will continue to find ways to properly distinguish ourselves from DTS. Chaos Intellect: We should be able to support Chaos Intellect. We do support .eml right now. You may send me email at emekaa@gaviri.com and we can work out how to provide support for Chaos Intellect. I will download a trial version of the software and see what needs to be done. Let the readers on the Chaos forums know that Gaviri Universal Search will provide support for Chaos Intellect. This is one of the biggest differences between us and the other DTS companies: We listen to our customers. find the files ok, but you can’t preview the mindmap itself. (Not that I’ve found anyway) And MindManager has a HUGE user base! We will investigate and implement in the next version if it is not very difficult to provide support for mindmap in the preview pane. we will provide preview support for mindmap in a later version if it will be difficult for us to do so in the upcoming version. Thank you very much too for taking the time to download, install and use Gaviri PocketSearch! By the way, Gaviri Technologies works with the Melbourne PC users group in Australia. #79 - Sue - sorry for the belated response to your post. For whatever reason, I missed it earlier on. I was rereading all the comments with the objective of compiling all the suggestions for our development team when I realized I had missed your post. Fubar already responded to the index relocation so I won't address that -- thanks Fubar. I am responding to the rest of your post: [The Gaviri PocketSearch index] is smaller than the index for Copernic by the way. (The various index files for that are taking up over 800MB at the moment.) This is one of the key differences between a desktop and Gaviri PocketSearch (a universal search engine that runs of portable devices and networks). The size of the index was kept very small even though we index more data than Copernic. The reason for this is that Gaviri PocketSearch is portable, you can install it on a flash drive, an external drive, a CompactFlash, etc., not just on the desktop. When you install Gaviri PocketSearch on a 1 or 2 GB flash drive, you don't want the index taking up over half the drive. So this and some other technical design issues are the differences between Gaviri PocketSearch -- which is NOT a desktop search and the other search engines on the market. It won’t be easy to grab a market share of the DTS market, given the number of free programs out there, that’s for sure! Gaviri PocketSearch is not a desktop search application even though it runs on the desktop. Gaviri PocketSearch is a universal search engine that runs on the desktop, home and office network, on smartphones and on most portable devices. It is a universal, adaptive search platform. It is universal because it runs on desktops, networks, Windows Mobile and portable devices. It is adaptive because you can run it like a regular desktop, but also like a portable search: you install Gaviri PocketSearch on the portable device and take search with you -- your search is portable, just like your device and data. None of the search engines on the market today will run on the network or on portable devices -- desktop, network and portable search are all plug and play for Gaviri PocketSearch. We have in fact renamed Gaviri PocketSearch to Gaviri Universal Search to make the distinction that we are not a DTS. DTS are answers to yesterday's search problems. Today users have a plethora of devices: dekstop, home networks, smartphones, MP3 players, flash, external and CompactFlash so we need a way to do a universal search across all these devices, that is what Gaviri PocketSearch does. We will continue to find ways to properly distinguish ourselves from DTS. Chaos Intellect: We should be able to support Chaos Intellect. We do support .eml right now. You may send me email at emekaa@gaviri.com and we can work out how to provide support for Chaos Intellect. I will download a trial version of the software and see what needs to be done. Let the readers on the Chaos forums know that Gaviri Universal Search will provide support for Chaos Intellect. (From what I’ve read in the Chaos forums, Copernic and other DTS companies have been so far unresponsive to any request from Chaos users - and there are many of us around the world using Chaos software!) This is one of the biggest differences between us and the other DTS companies: We listen to our customers. Another feature that would have people moving to PocketSearch over other free programs (I reckon anyway) would be some kind of viewer for mindmap programs (such as Mindjet’s MindManager, or the ConceptDraw mapping program). Other DTS programs will find the files ok, but you can’t preview the mindmap itself. (Not that I’ve found anyway) And MindManager has a HUGE user base! We will investigate and implement in the next version if it is not very difficult to provide support for mindmap in the preview pane. we will provide preview support for mindmap in a later version if it will be difficult for us to do so in the upcoming version. Finally, I’d like to say how much I appreciate the fact that Yuriy and Emiri have been so actively participating in the discussions here. Thank you very much too for taking the time to download, install and use Gaviri PocketSearch! By the way, Gaviri Technologies works with the Melbourne PC users group in Australia. #134 - fubar - we will add the ability to index entire XML files in the next version. Thank you for the thorough workout you are giving Gaviri PocketSearch. We have compiled all the suggestions received from GAOTD users and will make sure we address these in the upcoming release. If you like, send me your email address and we will make sure we send you beta of version 3.0. You may reach me at emekaa@gaviri.com. The ability to edit/add categories is handy; I added .dvr-ms to Video. It would be helpful if DVR-MS metadata were indexed. I also discovered that only XML tags are being indexed; it would be extremely helpful to have the option to index the entire XML file. Tips: A blank search box finds all files of the selected category (clicking the search icon refreshes). For example, you can search all files in the All Files category, and use Sorting Options, Sort by Date (Newer First) to find the newest or most recently modified files on your system / network / devices (ignoring incorrect dates, such as some from a Game Giveaway of the Day which had 2008 dates). When Gaviri fixes the file size bug, you'll be able to Sort by Size (Bigger First) to find the largest files. The "Found documents" window isn't indicating file sizes for large files, although the size shows correctly in the Document Preview window. If you're using 32-bit values for file sizes in the Found window, that's nowhere near enough bits for large files. Sometimes, the Document Preview window doesn't refresh completely. #131, Sid B, it sounds like your Windows registry has been damaged. Are you using one of those registry cleaner / Windows optimizer programs? Have you installed some new software or used System Restore? Did Help, About previously indicate that PocketSearch was registered? The "Found documents" window isn't indicating file sizes for large files, although the size shows correctly in the Document Preview window. If you're using 32-bit values for file sizes in the Found window, that's nowhere near enough bits for large files. Sometimes, the Document Preview window doesn't refresh completely. #79, Sue, use Tools, Select Files..., Select What to Index, Index Location, Relocate.... #131, Sid B, it sounds like your Windows registry has been damaged. Are you using one of those registry cleaner / Windows optimizer programs? Have you installed some new software or used System Restore? Did Help, About previously indicate that PocketSearch was registered? This morning Pocketsearch popped up a window saying that an update was available and also that I had used 15 out of 30 trial uses. The title bar also shows trial now. I haven't made any changes to the program that I'm aware of so I don't know what is happening. I am also getting a system tray message that the program is doing a first scan even though it had scanned for multiple days (it took a long time to get through my Eudora message folders). Speaking of Eudora, message dates are all off showing dates in 1999. I'm running the latest version of the program. Lastly, When I select exit from the tray I get a "closing" window with an indicator showing activity. The program never closes. If I double click on the tray icon the main interface pops up. I think click the "X" button in the upper right, and finally the program closes. This morning Pocketsearch popped up a window saying that an update was available and also that I had used 15 out of 30 trial uses. The title bar also shows trial now. I haven't made any changes to the program that I'm aware of so I don't know what is happening. I am also getting a system tray message that the program is doing a first scan even though it had scanned for multiple days (it took a long time to get through my Eudora message folders). Speaking of Eudora, message dates are all off showing dates in 1999. I'm running the latest version of the program. Lastly, When I select exit from the tray I get a "closing" window with an indicator showing activity. The program never closes. If I double click on the tray icon the main interface pops up. I think click the "X" button in the upper right, and finally the program closes. #80 U3 Smart drives require the U3 version of Gaviri PocketSearch. You can get that from our website. #80 Sorry for the long delay in replying to your question. To install Gaviri PocketSearch on your U3 drive, you have to download and install the U3 version of Gaviri PocketSearch on your U3 Smartdrive from our website. #80 Sorry for the delay in replying to your question. The giveawayoftheday distribution is only for the Windows version to run on your desktop or external devices. U3 devices have to use the U3 distribution of PocketSearch. 4. Go to Add Programs and click on "Install from My Computer"
6. Follow the on screen instructions to complete the installation. 7. After the installation is complete click on the U3 tray icon again and you will see Gaviri PocketSearch listed in the list of installed programs. 8. Click on the Gaviri PocketSearch icon to start the application. #80 Sorry for the delay in replying to your question. The giveawayoftheday distribution is only for the Windows version to run on your desktop or external devices. U3 devices have to use the U3 distribution of PocketSearch. To install Gaviri PocketSearch on your U3 drive, you have to: 1. 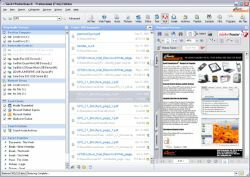 Download and save the U3 version of Gaviri PocketSearch to your desktop from our website: http://www.gaviri.com/site/downloads/PocketSearch-2.1.u3p 2. Plug your U3 Smart drive into your computer 3. Click on the U3 tray icon 4. Go to Add Programs and click on "Install from My Computer" 5. Browse to where you downloaded and saved Gaviri PocketSearch 6. Follow the on screen instructions to complete the installation. 7. After the installation is complete click on the U3 tray icon again and you will see Gaviri PocketSearch listed in the list of installed programs. 8. Click on the Gaviri PocketSearch icon to start the application. #125 Tim, we have been marketing and selling this application since 2005. We have never had anyone report what you described. You must have a virus on your computer. PocketSearch cannot cause the problem you have reported. #125 Tim, we have been marketing and selling this application since 2005. We have never had anyone report what you described. You must have a virus on your computer. PocketSearch cannot cause the problem you have reported. #125 Tim, are you working for Google or MicroSoft??? You must have had a serious problem with your computer to begin with or had a virus. Why or how can PocketSearch cause your computer to do what you have described? That problem has NEVER been reported before and as you can see no one else has reported such a problem! GOTD should be pleased to not have you here anymore. #125 Tim, are you working for Google or MicroSoft??? You must have had a serious problem with your computer to begin with or had a virus. Why or how can PocketSearch cause your computer to do what you have described? That problem has NEVER been reported before and as you can see no one else has reported such a problem! GOTD should be pleased to not have you here anymore. Very serious problems with PocketSearch here. It crashes at random, and takes the computer down with it, forcing a reboot. Any attempt to uninstall causes the crash immediately. It looks as if I'm going to have to wipe the computer and re-install everything to get rid of this. I think that means I say goodbye to GOTD. I expect some issues when trying free software, but that it just too extreme. In future I'll only get my free software that comes recommended from sources that have done proper evaluation. <b>Very</b> serious problems with PocketSearch here. It crashes at random, and takes the computer down with it, forcing a reboot. Any attempt to uninstall causes the crash immediately. It looks as if I'm going to have to wipe the computer and re-install everything to get rid of this. I think that means I say goodbye to GOTD. I expect some issues when trying free software, but that it just too extreme. In future I'll only get my free software that comes recommended from sources that have done proper evaluation. #123, Emeka, Acrobat Reader 8.1.0 is the version that's causing problems. I blocked some of Adobe's startup processes, such as their Photo Downloader and speed launcher, because they consume a lot of resources and don't do anything useful. While annoying, I'm not too concerned about the issue; Adobe software is generally flaky. So is Macromedia software, but of course, they're part of Adobe. # 122 - Fubar - We've encountered some problems with some versions of Adobe Acrobat not shutting down or behaving wierd. Acrobat Version 8.1.0 seems to work well. Which version do you use? I've had some problems with Adobe Acrobat Reader still being open at Windows shutdown, and it requires manual forced termination. I don't know whether the problem is with PocketSearch or Acrobat (Adobe has a long history of very low code quality). #119 - Fubar - Thank you for the suggestions. We will add more document type support as suggested. We are always looking for ways to optimize CPU and memroy usage and will look into the CPU spikes you reported. Maybe adding the option to pause indexing when Windows indicates that the PC is idle, and resume indexing when activity resumes may be the solution. But we surely will continue to look into this issue because it is a very important issue. Thank you for your excellent feedback. We will continue to monitor this thread -- we owe it to you and the others who took the time to download the software and provide feedback. #119 - Fubar - Thank you for the suggestions. We will add more document type support as suggested. We are always looking for ways to optimize CPU and memroy usage and will look into the CPU spikes you reported. Maybe adding the option to pause indexing when Windows indicates that the PC is idle, and resume indexing when activity resumes may be the solution. But we surely will continue to look into this issue because it is a very important issue. Thank you for your excellent feedback. We will continue to monitor this thread -- we owe it to you and the others who took the time to download the software and provide feedback. Thank you. I'm pleased to see that Gaviri is still monitoring this thread. The crash problem I had was caused by my recovery partition--it's protected, and doesn't function like a normal partition. On the whole, I like PocketSearch a lot. Compared to most indexing apps, it has low CPU overhead, a compact database, and excellent searching capabilities. As I mentioned earlier, it needs better support for document types, such as .MDI, .XPS, and .DjVu; support for DVR-MS metadata; and support for more archive types, such as .7z. Although the CPU load is comparatively low, Process Explorer shows a periodic spike, coinciding with I/O activity. It doesn't appear to correlate with other processes, and I have eliminated indexing of some frequently-updated files, such as firewall logs. The CPU spikes are far too high for my Media Center PC to enter standby when idle, which is a serious problem. If PocketSearch cannot be made more efficient, perhaps you could add an option to pause indexing when Windows indicates that the PC is idle, and resume indexing when activity resumes. #107, #108 Keilaron thanks for all your great feedback. We will look into the problem you reported with pausing and resuming indexing. But try this, after you have paused it and click on resume to start again, try clicking on one of the categories to see if it "wakes" PocketSearch up. #107, #108 Keilaron thanks for all your great feedback. We will look into the problem you reported with pausing and resuming indexing. But try this, after you have paused it and click on resume to start again, try clicking on one of the categories to see if it "wakes" PocketSearch up. #92 Keilaron, it will only search web pages that have been saved locally. The functionality to perform web searches is built into the application but we have not made it available in the current release. #92 Keilaron, it will only search web pages that have been saved locally. The functionality to perform web searches is built into the application but we have not made it available in the current release. #64 "Nice software, I’d prefer Google Desktop." I'm assuming privacy, security and portability are not a concern for you. "Plus Vista’s built in search is good enough." What if you have a portable or external device with gigabytes of data and you take it on the road with you? Vista cannot help you there. If you were to find a computer with Vista and plug in your device to perform a search, you can be assured you will be leaving traces of your files behind. #64 "Nice software, I’d prefer Google Desktop." I'm assuming privacy, security and portability are not a concern for you. "Plus Vista’s built in search is good enough." What if you have a portable or external device with gigabytes of data and you take it on the road with you? Vista cannot help you there. If you were to find a computer with Vista and plug in your device to perform a search, you can be assured you will be leaving traces of your files behind. #112 Khalia, PocketSearch probably encountered a file type it could not index and froze up. We are working on correcting this problem. It should skip the file and continue to index. Check for updates and fixes on our website periodically. #28 KDF The $39.95 price gives you a license to install the application on up to 10 devices. That works out to be $3.95 per license per device! You cannot buy a software with this much functionality and ability to install on 10 devices anywhere for $3.95 per license. Khalia - Maybe the Outlook.pst file is just really, really big? Remember that it supports PST files, so maybe it just needs a while to index all your e-mails :> If it doesn't seem to be indexing anymore, just go to Select Files, change something, then click OK. If you removed something you can go back and enable it again. That should restart the indexing process. Khalia - Maybe the Outlook.pst file is just really, really big? Remember that it supports PST files, so maybe it just needs a while to index all your e-mails :&gt; If it doesn't seem to be indexing anymore, just go to Select Files, change something, then click OK. If you removed something you can go back and enable it again. That should restart the indexing process. This program is just stop indexing on 1.691 indexed file. It won't go further now for 2 days (it stop on Outlook.pts). It won't start indexing further or again. If I try to exit application it won't exit. Application is closing Gaviri PochetSearch for more then 30 minutes (and closing, and closing, and ...). I have to terminate the process. When I start application again, it just monitoring drive and doesn't continue indexing. If I try to restart indexing nothing happened. If I try to recreate index and proceed, nothing happened. It continues Monitoring drive. In these state this program is useless (just 1.691 indexed files). It didn't come to indexed drive D. I will probable uninstall it. This program is just stop indexing on 1.691 indexed file. It won't go further now for 2 days (it stop on Outlook.pts). It won't start indexing further or again. If I try to exit application it won't exit. Application is closing Gaviri PochetSearch for more then 30 minutes (and closing, and closing, and ...). I have to terminate the process. When I start application again, it just monitoring drive and doesn't continue indexing. If I try to restart indexing nothing happened. If I try to recreate index and proceed, nothing happened. It continues Monitoring drive. In these state this program is useless (just 1.691 indexed files). It didn't come to indexed drive D. I will probable uninstall it. #102 - Jonathan - Thank you very much for the nice words. We are happy to provide support for such a great community. We appreciate that you spent your time to install and use the software. #105 - Dragonflye - I understand. My words didn't quite convey what I wanted to say as clearly as I had wanted. But I understand what you said and I agree. Thanks for the feedback. #88, poor pensioner, Yuriy and I (Emeka) are part of the Gaviri team. We enjoyed working with all the users yesterday and with GAOTD. GAOTD has been one of the best experiences we've had. We have been to trade shows and the like, but the GAOTD experience beats those. We love to interact with users and GAOTD users were terrific! Thanks GAOTD for putting our software up and to all those who tried the software, thank you. Any one who has support questions should feel free to send it to us. Thanks again. #88, poor pensioner, Yuriy and I (Emeka) are part of the Gaviri team. We enjoyed working with all the users yesterday and with GAOTD. GAOTD has been one of the best experiences we've had. We have been to trade shows and the like, but the GAOTD experience beats those. We love to interact with users and GAOTD users were terrific! Thanks GAOTD for putting our software up and to all those who tried the software, thank you. Any one who has support questions should feel free to send it to us. Thanks again. I re-ran GPS, and it ran away again, but I noticed something interesting - after pausing it and waiting (I was hoping it would eventually stop on it's own), I came back to it some time later and clicked on "resume". For the curious, I have 274088 documents indexed, giving it 41MB memory usage while open and 38MB memory usage while iconised (That's the proper term, by the way, not minimized - it's not the same thing. ), and the index is 1.3 GB (Not bad - that averages ~5KB/document.). SlimJim (#97) - It's rather unfortunate that you didn't bother to click "Advanced", because the feature you wanted does exist and it's right there. I did a quick test and it works as it should. Dragonflye (#105) - It did not trigger a latent trojan. It just found one. In the process of indexing, I'm guessing that GPS makes a copy of the file (or at least part of it) and therefore the anti-virus thought it was a potential danger because it was, after all, a copy of a trojan. That, or the cut sections of the file resembled the trojan close enough for the anti-virus to believe it was one. However, no trojan was ever executed at any point, and that's the critical distinction. I re-ran GPS, and it ran away again, but I noticed something interesting - after pausing it and waiting (I was hoping it would eventually stop on it's own), I came back to it some time later and clicked on "resume". Mysteriously, it stopped. Weird. For the curious, I have 274088 documents indexed, giving it 41MB memory usage while open and 38MB memory usage while iconised (That's the proper term, by the way, not minimized - it's not the same thing. ), and the index is 1.3 GB (Not bad - that averages ~5KB/document.). SlimJim (#97) - It's rather unfortunate that you didn't bother to click "Advanced", because the feature you wanted does exist and it's right there. I did a quick test and it works as it should. Dragonflye (#105) - It did <em>not</em> trigger a latent trojan. It just <em>found</em> one. In the process of indexing, I'm guessing that GPS makes a copy of the file (or at least part of it) and therefore the anti-virus thought it was a potential danger because it was, after all, a copy of a trojan. That, or the cut sections of the file resembled the trojan close enough for the anti-virus to believe it was one. However, no trojan was ever <em>executed</em> at any point, and that's the critical distinction. I must retract one of my previous comments: PocketSearch DOES run away at times. I'm certain of it because I popped open File Monitor and sure enough, PocketSearch keeps reading and writing to it's index file without limit despite having told it to pause. ... And having told it to close. It is currently waiting for it's indexing thread to wait, but so far no luck and I may be forced to terminate the process. I believe this issue occurred because PocketSearch found an infected file and the antivirus deleted PocketSearch's temporary file. Gaviri, please fix this; All it should take would be to check if the temporary file still exists and properly handle it's mysterious disappearance. I must retract one of my previous comments: PocketSearch DOES run away at times. I'm certain of it because I popped open File Monitor and sure enough, PocketSearch keeps reading and writing to it's index file without limit despite having told it to pause. ... And having told it to close. It is currently waiting for it's indexing thread to wait, but so far no luck and I may be forced to terminate the process. I believe this issue occurred because PocketSearch found an infected file and the antivirus deleted PocketSearch's temporary file. Gaviri, please fix this; All it should take would be to check if the temporary file still exists and properly handle it's mysterious disappearance. #105 Dragonflye, like Keilaron so astutely noted in comment #87, PocketSearch just found the virus on your system. So PocketSearch actually helped by locating a potentially harmful file hidden in your system. But thank you for bringing it to our attention. We do want to be made aware of these occurrences. Hopefully your comment and Keilaron’s response will prevent others from jumping to the same conclusion you did if something similar happens to them. #105 Dragonflye, like Keilaron so astutely noted in comment #87, PocketSearch just found the virus on your system. So PocketSearch actually helped by locating a potentially harmful file hidden in your system. But thank you for bringing it to our attention. We do want to be made aware of these occurrences. Hopefully your comment and Keilaron’s response will prevent others from jumping to the same conclusion you did if something similar happens to them. #82 - Emeka - I wasn't suggesting that your company isn't legitimate or that you intentionally infected your software with a trojan. I was simply reporting an event logged by my antivirus program that included a reference to PocketSearch. I chose to err on the side of caution by uninstalling the software. As #87 suggested, the trojan may already have been in my system when PocketSearch indexed the files. Whether PocketSearch merely located a pre-existing trojan or the indexing process triggered a latent trojan, I don't know. But when I install a piece of software (and certainly if I were the creator of the program), I would want to know of the potential for its operation to trigger an antivirus warning. #99 SG, Please make sure you have "all files" category on to see if all files were indexed. As to ability to limit search to specific directory, it will be available in the next version. Right now it is possible to search in path using advanced options. You can try to enter directory name there. #100 FUBAR, If you experience this crash again, that would be nice if you could rerun indexer with logging enabled, and send us the file that caused problem, if you can do it of course. After the crash take a look at the log file, last line will point to file it could not index. #99 SG, Please make sure you have "all files" category on to see if all files were indexed. As to ability to limit search to specific directory, it will be available in the next version. Right now it is possible to search in path using advanced options. You can try to enter directory name there. #100 FUBAR, If you experience this crash again, that would be nice if you could rerun indexer with logging enabled, and send us the file that caused problem, if you can do it of course. After the crash take a look at the log file, last line will point to file it could not index. #99, SG, the status bar at the bottom tells you what it's indexing. You can click the arrows to expand/contract details. It says something like "Monitoring drive" when it's through indexing (you'll also see this at the start of indexing, while it's examining the drive directories to determine what it needs to update). Rather than explain the numerous options it has for searching within or for folders, advanced searching features (powerful), etc., I'm just going to refer you to the ample Help (or just use the standard F1 while it has the keyboard focus, if you don't want to go through the menus). OK, re-reading your comments, I think you were in a hurry when you looked at the Help. Look under "Basic Application Usage", "Searching Tips", and "Advanced Application Usage", "Advanced Searching". The "Advanced" button is just to the right of the search box. #99, SG, the status bar at the bottom tells you what it's indexing. You can click the arrows to expand/contract details. It says something like "Monitoring drive" when it's through indexing (you'll also see this at the start of indexing, while it's examining the drive directories to determine what it needs to update). Rather than explain the numerous options it has for searching within or for folders, advanced searching features (powerful), etc., I'm just going to refer you to the ample Help (or just use the standard F1 while it has the keyboard focus, if you don't want to go through the menus). OK, re-reading your comments, I think you were in a hurry when you looked at the Help. Look under "Basic Application Usage", "Searching Tips", and "Advanced Application Usage", "Advanced Searching". The "Advanced" button is just to the right of the search box. To the GOTD team: As you no doubt are already aware, the Gaviri PocketSearch giveaway is a real winner, and one of the very best giveaways to date. And the Gaviri team's support was wonderful, though unfortunately an exceptional case rather than the rule. Thank you very much again for this great Web site. To the Gaviri team (Emeka and Yuriy that I know of): Thank you very much for diligently monitoring the comments and providing fast and helpful answers to questions, additional information, and corrections of mistaken impressions of your software. It is very rare for publishers to provide such great support to the GOTD community. I am sure that your company and your product have scored extra points with users because of your attentive support. I hope you all get to read this, as I am submitting it after the giveaway has expired. In fact, I think I'll submit it on the forums and on today's giveaway page too, just to be sure everyone sees it. To the GOTD team: As you no doubt are already aware, the Gaviri PocketSearch giveaway is a real winner, and one of the very best giveaways to date. And the Gaviri team's support was wonderful, though unfortunately an exceptional case rather than the rule. Thank you very much again for this great Web site. To the Gaviri team (Emeka and Yuriy that I know of): Thank you very much for diligently monitoring the comments and providing fast and helpful answers to questions, additional information, and corrections of mistaken impressions of your software. It is very rare for publishers to provide such great support to the GOTD community. I am sure that your company and your product have scored extra points with users because of your attentive support. I hope you all get to read this, as I am submitting it after the giveaway has expired. In fact, I think I'll submit it on the forums and on today's giveaway page too, just to be sure everyone sees it. #91: Keilaron, thank you for setting me straight on the settings. I was trying to evaluate the application as quickly as possible, both to be useful to the greatest number of GOTD visitors and to get back to my real job. Therefore, I missed the settings, and doubtless missed many other important points too. I apologize. I hope you get to read this, as I am submitting it after the giveaway has expired. #91: Keilaron, thank you for setting me straight on the settings. I was trying to evaluate the application as quickly as possible, both to be useful to the greatest number of GOTD visitors and to get back to my real job. Therefore, I missed the settings, and doubtless missed many other important points too. I apologize. I hope you get to read this, as I am submitting it after the giveaway has expired. #84, Emeka, by extensible, I mean in the sense that Google Desktop is--instead of the developer writing code for every conceivable file format, they defined a specification for indexing plug-ins, and let the public do it. There are good things and bad things about this approach. Google should have implemented more common formats themselves. For example, they didn't implement MHTML indexing; that was done with plug-ins. I notice there's a DjVu indexer for GD. I ran into a problem with PocketSearch. It crashed (the dump was sent to Microsoft). It's not unusual for indexing applications to have problems, but the response was not good. When I restarted it, it reverted from the last settings, for a full index, to my initial restricted settings. Therefor, the first thing it did was to delete almost all of the indexing that it had just done over most of the day. The logs indicate that it skips files which it can't access, but perhaps it doesn't skip volumes. A full index included my system recovery volume, which it probably can't read. After the crash, I removed the recovery volume from both indexing and searching (but it will still be sometime tomorrow before re-indexing is complete). #84, Emeka, by extensible, I mean in the sense that Google Desktop is--instead of the developer writing code for every conceivable file format, they defined a specification for indexing plug-ins, and let the public do it. There are good things and bad things about this approach. Google should have implemented more common formats themselves. For example, they didn't implement MHTML indexing; that was done with plug-ins. I notice there's a DjVu indexer for GD. I ran into a problem with PocketSearch. It crashed (the dump was sent to Microsoft). It's not unusual for indexing applications to have problems, but the response was not good. When I restarted it, it reverted from the last settings, for a full index, to my initial restricted settings. Therefor, the first thing it did was to delete almost all of the indexing that it had just done over most of the day. The logs indicate that it skips files which it can't access, but perhaps it doesn't skip volumes. A full index included my system recovery volume, which it probably can't read. After the crash, I removed the recovery volume from both indexing and searching (but it will still be sometime tomorrow before re-indexing is complete). As a recent convert (about a year and a half ago) from Mac to Windows, I was frustrated with the Windows search function. The Mac I had used Sherlock for searching and I never had a problem finding files and it was quick. (It also searched for folders) I just assumed searching on all computers would be as easy. I thought I was doing something wrong on windows and have been investigating better ways to search my files. I tried Google and it worked okay but I finally figured out, thanks to wirekeys, that GDS was causing my computer to stop functioning bc the CPU was frequently hitting 100 percent. Probably bc of one of the addons but I don't have time to figure out which so I haven't started GDS back up in a while. I have relied on DocYouMeantHound for my text files. The 10 strike program and Engage have supplemented my searches recently but it gets confusing having too many places to search and I hope yours functions properly. I don't know if GPS has completely indexed my disk (says it has done almost 300,000 docs) but I have done a search on a character name that I know is contained in half a dozen documents (that are enclosed in the same folder) and it only gave me results for two documents. The results for the two were pleasing (I love the document preview) but I need to know that everything is being searched. I also tried another couple of searches and it didn't give me complete results. I guess the jury is still out on that. Also I don't mean to be greedy, and maybe I missed it, but is there a way to search within a specific folder, or to search for a specific folder. I've looked through all the menus and the help files and don't see a way to do that. I am hoping this is my dream come true for searching! As a recent convert (about a year and a half ago) from Mac to Windows, I was frustrated with the Windows search function. The Mac I had used Sherlock for searching and I never had a problem finding files and it was quick. (It also searched for folders) I just assumed searching on all computers would be as easy. I thought I was doing something wrong on windows and have been investigating better ways to search my files. I tried Google and it worked okay but I finally figured out, thanks to wirekeys, that GDS was causing my computer to stop functioning bc the CPU was frequently hitting 100 percent. Probably bc of one of the addons but I don't have time to figure out which so I haven't started GDS back up in a while. I have relied on DocYouMeantHound for my text files. The 10 strike program and Engage have supplemented my searches recently but it gets confusing having too many places to search and I hope yours functions properly. I don't know if GPS has completely indexed my disk (says it has done almost 300,000 docs) but I have done a search on a character name that I know is contained in half a dozen documents (that are enclosed in the same folder) and it only gave me results for two documents. The results for the two were pleasing (I love the document preview) but I need to know that everything is being searched. I also tried another couple of searches and it didn't give me complete results. I guess the jury is still out on that. Also I don't mean to be greedy, and maybe I missed it, but is there a way to search within a specific folder, or to search for a specific folder. I've looked through all the menus and the help files and don't see a way to do that. I am hoping this is my dream come true for searching! INITIAL VIEWS -- of the operating program were good. Easy installation, easy registration, good-looking interface, straight-forward selection of drives and email programs to index. INDEXING -- When the indexing system got to 100k files or so, some features started slowing down. The 'Select files' under 'Tools' required several minutes to open. Not just the first time this feature was used, but EVERY time. Until the Select Files window opens, the program will not respond to anything. Other running programs can be accessed. MEMORY HOG -- At 185k files and 430MB of index, and not indexing, the program uses 115MB of physical memory and 624 MB of virtual memory. This demand may be normal for such a large index. It's still annoying. FOUND FILES -- The program doesn't distinguish between a hit that's a filename or a hit that is inside the file when displaying the 'found' list. This makes it difficult to find just a filename in the list. Many searches do not find files that are viewable in Windows Explorer. CONCLUSION -- The issue of not being able to find files is why the PocketSearcher program will be uninstalled. SYSTEM -- W2k, SP4, P4-dual core, 3GHz, 2GB DRAM INITIAL VIEWS -- of the operating program were good. Easy installation, easy registration, good-looking interface, straight-forward selection of drives and email programs to index. INDEXING -- When the indexing system got to 100k files or so, some features started slowing down. The 'Select files' under 'Tools' required several minutes to open. Not just the first time this feature was used, but EVERY time. Until the Select Files window opens, the program will not respond to anything. Other running programs can be accessed. MEMORY HOG -- At 185k files and 430MB of index, and not indexing, the program uses 115MB of physical memory and 624 MB of virtual memory. This demand may be normal for such a large index. It's still annoying. FOUND FILES -- The program doesn't distinguish between a hit that's a filename or a hit that is inside the file when displaying the 'found' list. This makes it difficult to find just a filename in the list. Many searches do not find files that are viewable in Windows Explorer. CONCLUSION -- The issue of not being able to find files is why the PocketSearcher program will be uninstalled. PocketSearch indexes ALL files, plus archives. Copernic indexes only document types known to it. If PocketSearch indexed 170,000, Copernic probably indexed 50,000. That's why you don't notice any slowness yet. We tested all DTS programs for scalability with wikipedia dump, where all files are plain html files. #62 Jonathan, When you compare Copernic and PocketSearch remember that PocketSearch indexes ALL files, plus archives. Copernic indexes only document types known to it. If PocketSearch indexed 170,000, Copernic probably indexed 50,000. That's why you don't notice any slowness yet. We tested all DTS programs for scalability with wikipedia dump, where all files are plain html files. 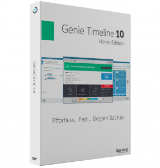 This software is really awesome, very very quick. This program does searches and previews in Hebrew, unlike copernica. For my needs this is very important. However, it is frustrating that the email searches don't include pegasus. This program does searches and previews in Hebrew, unlike copernica. For my needs this is very important. However, it is frustrating that the email searches don't include pegasus. Installed PocketSearch early this morning. It indexed two hd (180 GB and 250 GB)and two portable drives (1 GB each)in less than four hours while I was using my computer and while the PocketSearch indexing speed was set on the middle setting. I have found it to find small details in all of my trial documents, program directories, and email tests. It found everything requested (not just email as in some of the above posts)too quickly for me to time with my stop watch. That beats Goggle. It found my requested search topics before the X1 search page could open - every time. Very nice program. I will not depend on it because I will have a computer crash and the very full PocketSearch directory will become scrambled. I don't want to have to pay $30 to put it back into action. The company will need to find some other way to promote their very nice search engine to folks like me. Installed PocketSearch early this morning. It indexed two hd (180 GB and 250 GB)and two portable drives (1 GB each)in less than four hours while I was using my computer and while the PocketSearch indexing speed was set on the middle setting. I have found it to find small details in all of my trial documents, program directories, and email tests. It found everything requested (not just email as in some of the above posts)too quickly for me to time with my stop watch. That beats Goggle. It found my requested search topics before the X1 search page could open - every time. Very nice program. I will not depend on it because I will have a computer crash and the very full PocketSearch directory will become scrambled. I don't want to have to pay $30 to put it back into action. The company will need to find some other way to promote their very nice search engine to folks like me. The description says you can search web pages... I was under the impression that that meant you can give it a URL to crawl, but I don't see that anywhere. Is it limited only to local (on disk) pages? Jonathan (#45) - The indexing speed option is in the following location: Tools -> Select Files -> Indexing Options. raylu (#58) - The option to enter a new key should always be present; After all, if someone wants to buy another year of support, that's their prerogative and that option would need to be there in that case. As for supporting ODF, I have no doubt they will sooner or later as they already support OO.o documents and the like. As for Google mail, I'd say it's not likely. A work-around for this would be to use a regular mail app (Thunderbird, perhaps?) and download your Google mail if you really want it indexed. They can't really start implementing special support for mail services... no matter how popular they may be. Jahala (#61) - You've got 750 GB+ space and you're worried about a measly 9 MB (although likely going to be ~1 GB if you have that many documents - though I'm guessing not) file? Indexes are pretty much necessary to be able to find things fast. The other search program you've mentioned doesn't sound nearly as thorough as GPS and it's probably why it has a much smaller index (It has one. Trust me. If not, it's probably redoing the search manually each time, not using a DB.). Jan (#74) - With all due respect, I find your story hard to believe. First of all, if you ever have any "rogue" processes, the first thing you should think of is to launch the task manager and end the application in question, not try to reboot - rebooting basically *starts* a new process (strictly speaking it doesn't, but I think you get the idea), so it bogs things down further before it closes everything down. Third, when reporting "hog" issues, your report can only be taken seriously if you can say what kind of system you have (the more specific the specs, the better). The description says you can search web pages... I was under the impression that that meant you can give it a URL to crawl, but I don't see that anywhere. Is it limited only to local (on disk) pages? Jonathan (#45) - The indexing speed option is in the following location: Tools -&gt; Select Files -&gt; Indexing Options. raylu (#58) - The option to enter a new key should always be present; After all, if someone wants to buy another year of support, that's their prerogative and that option would need to be there in that case. As for supporting ODF, I have no doubt they will sooner or later as they already support OO.o documents and the like. As for Google mail, I'd say it's not likely. A work-around for this would be to use a regular mail app (Thunderbird, perhaps?) and download your Google mail if you really want it indexed. They can't really start implementing special support for mail services... no matter how popular they may be. RSS/Atom feed support isn't terribly far fetched, though, if they do end up supporting crawling sites... Jahala (#61) - You've got 750 GB+ space and you're worried about a measly 9 MB (although likely going to be ~1 GB if you have that many documents - though I'm guessing not) file? Indexes are pretty much necessary to be able to find things fast. The other search program you've mentioned doesn't sound nearly as thorough as GPS and it's probably why it has a much smaller index (It has one. Trust me. If not, it's probably redoing the search manually each time, not using a DB.). Jan (#74) - With all due respect, I find your story hard to believe. First of all, if you ever have any "rogue" processes, the first thing you should think of is to launch the task manager and end the application in question, not try to reboot - rebooting basically *starts* a new process (strictly speaking it doesn't, but I think you get the idea), so it bogs things down further before it closes everything down. Secondly, when installing and starting PocketSearch (and any time you check the indexing options), you get the option to control how much of the CPU time PocketSearch takes. While indexing, PS faithfully used only the amount of CPU time I had assigned it; Right now, it's sitting idle as it's done indexing and is using at most 2% of the CPU to monitor new files. (And for the curious, 28 MB memory; A fair amount for an indexer, though I think it should try to minimize that while it's not being searched.) Third, when reporting "hog" issues, your report can only be taken seriously if you can say what kind of system you have (the more specific the specs, the better). Hi, everyone. I thought I had posted this earlier, but I'm not seeing it, so I'll try again. I apologize if this is a duplicate. Does anyone know if you can use the Giveaway of the Day download to install to a U3 flash drive or a Pocket PC? The download page on Gaviri's site sounds like it possibly should work on a U3 drive, but when I installed I wasn't given the option to install on the U3. Am I going to have to use the freeware version on these two devices? Thanks in advance for your help. And thanks, Giveaway of the Day! Hi, everyone. I thought I had posted this earlier, but I'm not seeing it, so I'll try again. I apologize if this is a duplicate. Does anyone know if you can use the Giveaway of the Day download to install to a U3 flash drive or a Pocket PC? The download page on Gaviri's site sounds like it possibly should work on a U3 drive, but when I installed I wasn't given the option to install on the U3. Am I going to have to use the freeware version on these two devices? Thanks in advance for your help. And thanks, Giveaway of the Day! PocketSearch needs to support embedded text in .MDI and .XPS files (and .DjVu, if it allows embedded text). The preview window may only be able to show embedded text from .MDI files, but if you can embed the Acrobat Viewer, it should also be possible to embed .XPS and .DjVu viewers. If the number of supported file formats can be increased, I like PocketSearch. With indexing set for minimal CPU, it doesn't interfere with other activities, the indices are compact, and the searches are quick. Depending upon file types, users will experience different ratios between number of files / total size of files, and the size of the index. I have nearly a terrabyte of online data; the indexing isn't finished yet, but it's past 300,000 files indexed, and the index is only 744 MB so far (out of a terrabyte, that's nothing). Even though PocketSearch may be generally better than the competition, the price is a problem, since the competition is free. #45, Jonathan, you can select the CPU load PocketSearch uses when indexing (althought the particulars aren't documented). There are many factors that influence your interactive performance. Besides the disk activity, there are the Windows and disk controller caches, the CPU caches, and the virtual memory working sets. Additionally, security (anti-virus / anti-spyware) software can have a huge impact, particularly when large files are being indexed. #26, chuck, I grow weary of your off-topic and incorrect comments. Vista isn't on very many computers in the US at all (notice how many GOTD users are still using Windows 95, and most businesses are holding off on "upgrading" to Vista), numerous professional computer columnists have given up on the endless problems with Vista and switched back to XP, and, despite the fact that Microsoft tried to force OEMs to install only Vista, there has been so much consumer backlash that the OEMs rebelled and have returned to offering XP computers, and Microsoft has had to significantly raise their forecast for XP sales in 2008 (at the expense of Vista sales). #54, #63, see #59--this is very old news, and involves an optional feature that you don't have to use. As for Gaviri, they give their response in #60. Basically, unless you do a lot of checking, you are taking them at their word that PocketSearch respects your privacy. The very first thing it does when initially started (after installation / activation) is request Internet access (this is true of many GOTD offerings). #73, you have to make your own decisions. GD is extensible (contradicting several incorrect earlier posts about what formats it supports), GPS isn't. GD is generally regarded as being bloated and inefficient (unlike Google's very efficient web offerings); my initial impression of GPS is that it is compact and efficient. GD supports Gmail and integrated web/local search, GPS doesn't. GPS supports portable and networked devices, and doesn't utilize/require public servers. #77, another in an endless procession of panicked users with false positives. Among a bunch of other security software, I use NOD32 with just about all security settings maxed out, and my always-on broadband connection downloads multiple NOD32 database updates per day. I haven't received any warnings about PocketSearch, and if you would bother to read yours, there was no risk. The file in question wasn't an executable; it was a temporary file which PocketSearch indexed. The warning was simply triggered by data which randomly happened to contain a signature which matched a malware code signature; it's a false positive and was never going to execute. PocketSearch needs to support embedded text in .MDI and .XPS files (and .DjVu, if it allows embedded text). The preview window may only be able to show embedded text from .MDI files, but if you can embed the Acrobat Viewer, it should also be possible to embed .XPS and .DjVu viewers. If the number of supported file formats can be increased, I like PocketSearch. With indexing set for minimal CPU, it doesn't interfere with other activities, the indices are compact, and the searches are quick. Depending upon file types, users will experience different ratios between number of files / total size of files, and the size of the index. I have nearly a terrabyte of online data; the indexing isn't finished yet, but it's past 300,000 files indexed, and the index is only 744 MB so far (out of a terrabyte, that's nothing). Even though PocketSearch may be generally better than the competition, the price is a problem, since the competition is free. #45, Jonathan, you can select the CPU load PocketSearch uses when indexing (althought the particulars aren't documented). There are many factors that influence your interactive performance. Besides the disk activity, there are the Windows and disk controller caches, the CPU caches, and the virtual memory working sets. Additionally, security (anti-virus / anti-spyware) software can have a huge impact, particularly when large files are being indexed. #26, chuck, I grow weary of your off-topic and incorrect comments. Vista isn't on very many computers in the US at all (notice how many GOTD users are still using Windows 95, and most businesses are holding off on "upgrading" to Vista), numerous professional computer columnists have given up on the endless problems with Vista and switched back to XP, and, despite the fact that Microsoft tried to force OEMs to install only Vista, there has been so much consumer backlash that the OEMs rebelled and have returned to offering XP computers, and Microsoft has had to significantly raise their forecast for XP sales in 2008 (at the expense of Vista sales). #54, #63, see #59--this is very old news, and involves an optional feature that you don't have to use. As for Gaviri, they give their response in #60. Basically, unless you do a lot of checking, you are taking them at their word that PocketSearch respects your privacy. The very first thing it does when initially started (after installation / activation) is request Internet access (this is true of many GOTD offerings). #73, you have to make your own decisions. GD is extensible (contradicting several incorrect earlier posts about what formats it supports), GPS isn't. GD is generally regarded as being bloated and inefficient (unlike Google's very efficient web offerings); my initial impression of GPS is that it is compact and efficient. GD supports Gmail and integrated web/local search, GPS doesn't. GPS supports portable and networked devices, and doesn't utilize/require public servers. #77, another in an endless procession of panicked users with false positives. Among a bunch of other security software, I use NOD32 with just about all security settings maxed out, and my always-on broadband connection downloads multiple NOD32 database updates per day. I haven't received any warnings about PocketSearch, and if you would bother to read yours, there was no risk. The file in question wasn't an executable; it was a temporary file which PocketSearch indexed. The warning was simply triggered by data which randomly happened to contain a signature which matched a malware code signature; it's a false positive and was never going to execute. When i downloaded the .zip,and ran the .exe i get the message that " activation module failed to connect to gaotd.com Software activation is not possible at the moment. please try again later or check your firewall settings... there is 3+hours left and my firewall is off... any suggestions? and defend their product from uncensored comments.